Yunah Lee will participate in Faust from 04/22/19 through 05/11/19 (Lyric Opera of San Antonio). Yunah Lee will participate in Madama Butterfly from 02/14/19 through 02/26/19 (Pacific Symphony Orchestra). Yunah Lee is thrilling audiences in the U.S., Europe and Asia with her “handsomely colored full lyric sound” (Opera News) and “picture perfect” acting (Berkshire Fine Arts). Recent performances in the title role of Madama Butterfly were hailed in Germany as “a revelation… [her] voice unites the girlish innocence and the wistful sensuality [of Cio Cio San]” (Online Musik Magazin). “...thoroughly captivating, above all thanks to Yunah Lee, who is utterly convincing in mood and presentation… a commanding and touching performance revealing the highs and lows of Butterfly’s emotions.” (Das Opernglas). In recent seasons, she has performed Cio-Cio-San with The Dallas Opera, Minnesota Opera, Washington National Opera, Glimmerglass Festival, Boston Lyric Opera, Opera Carolina, Central City Opera, Kentucky Opera, New York City Opera, Utah Opera, and Opera de Quebec. Elsewhere, she has performed this role in Europe with De Vlaamse Opera in Belgium, Theater St. Gallen in Switzerland, Stadttheater Bern in Switzerland, in Braunschweig, Germany, and Opera Ireland and, in the U.S.A., Opera Austin, Boheme Opera, Dayton Opera, Opera Roanoke, Virginia Opera, Longview Opera, Lyric Opera of San Antonio, Grand Rapids Opera,, Kentucky Opera, Duluth Festival, Lake George Opera, Toledo Opera, and Westfield Symphony, and Opera Tampa. She will present her portrayal of this part this coming March with the Pacific Symphony. Other notable roles in her repertoire include Mimi in La Boheme (New York City Opera, Cleveland Opera, Boheme Opera, Opera Roanoke, Aspen Music Festival, Sao Paolo, Brazil and Korea National Opera), Micaela in Carmen (New York City Opera, Fort Worth Opera, Opera El Paso, and Boheme Opera and in Tokyo, Japan) Liu in Turandot (Minnesota Opera and Orlando Opera), Marguerite in Faust (Minnesota Opera, Toledo Opera, El Pazo Opera, Natchez Opera), Adina in L’Elisir d’Amore (Orlando Opera and Virginia Opera), Leila in Les Pecheurs des Perles (Opera Cleveland), and Elvira in Don Giovanni (Palm Beach Opera, Westfield Symphony, Opera on the James). Pamina in Die Zauberflöte (Kalamazoo Symphony), Nedda in I Pagliacci (Intermountain Opera), Juliette in Gounod’s Romeo et Juliette (Opera Roanoke), the Countess in Le Nozze di Figaro (Kentucky Opera), and Pamina in Die Zauberflöte (Opera Carolina). She has also sung Leonora in Il Trovatore and Donna Anna in Don Giovanni in Korea. She will sing Marguerite this coming May with Opera San Antonio. As an active concert singer, Ms. Lee has performed as soprano soloist in Handel’s Messiah, Mozart’s Requiem, Haydn’s The Creation and Bach’s St. Matthew Passion with the New York Oratorio Society at Carnegie Hall, and Verdi Requiem with National Chorale at Avery Fisher Hall. In 2008, Ms. Lee was invited to appear as a soloist in the Great Mountain Music Festival, where she performed works of Rodrigo, Villa Lobos, Handel, Earl Kim and George Crumb. 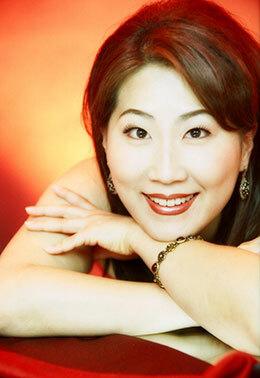 The 2005-2006 season saw Ms. Lee's debut with Hiroshima Symphony performing Mahler Symphony No. 2, in the memorial concert of the 60th year after the Atomic Bomb in Hiroshima, her solo recital in Los Angeles at USC’s Newman Hall, KMF Virtuoso Concert at Alice Tully Hall with pianist Warren Jones and her European concert debut with the Pablo Picasso Orchestra in Malaga, Spain. Ms. Lee made her solo recital debut at the Carnegie Hall and Ho-Am Recital Hall in Seoul, Korea followed by a national tour in 5 cities in South Korea. Ms. Lee was also featured in the Christmas Concert with Beijing National Symphony in China and in her recital with Shanghai Symphony and Seoul Arts Center and in Concert with Tokyo City Orchestra. Ms. Lee's first recording of “Four Seasons in Korea” with I Musici was released in 2004. Born in Daegu, Korea, Ms. Lee is a former member of Juilliard Opera Center and earned her Master's Degree at The Juilliard School and Bachelor's Degree from Hanyang University as a full scholarship student. Ms. Lee also studied at the New England Conservatory of Music. Ms. Lee received First Prize in the Mario Lanza Competition and in the Verismo Opera Competition and was a finalist at the Belvedere Competition in Vienna, Austria. She is currently a member of the faculty of the University of Arizona in Tucson.